As I child, I had pretty much every Disney movie on VHS. We had a whole shelf full of those big plastic cases, and I would watch them frequently. 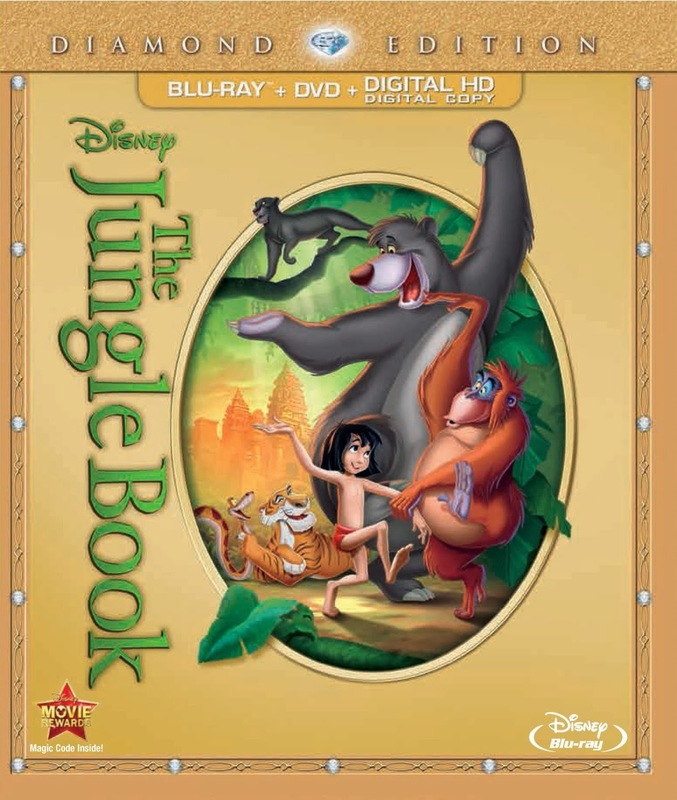 Oddly enough, one of the ones I watched the least was The Jungle Book, and revisiting it now on Disney's latest Diamond Edition Blu-ray, I was reminded of why. The Jungle Book is most notable for being the last animated feature to get Walt Disney's personal touch before his death in 1966. 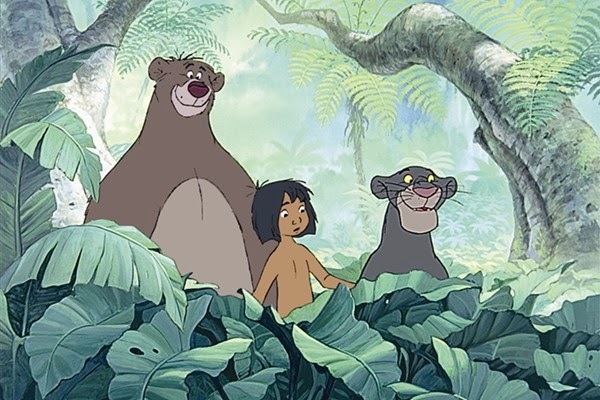 It has become something of a classic thanks to its catchy Sherman brothers songs like"Bare Necessities" and "I Wanna Be Like You," but seeing it again after all these years, I was surprised just how uneventful it was. Mowgli the "man-cub" was raised by wolves, but upon the return of the tiger Shere-Khan, Mowgli must be returned to the man village or face death by the vengeful tiger. And that's pretty much it. Mowgli is escorted to the man village by Bagheera the panther, and meets an array of colorful characters, from Baloo the bear to Kaa the snake to King Louie the ape, each helping or hindering his journey in some way. But that's really all the movie is, an episodic collection of vignettes that moves along at a surprisingly meandering pace. On the other hand, its characters are some of the most enduring in the Disney canon, which makes The Jungle Book something of an odd bird indeed. It's hard not to be charmed by it, and it has clearly endured for some reason. It doesn't have the strong plotline or classical structure of some of its predecessors, but something about it works in spite of itself. It's essentially a rambling collection of songs, but its characters and their relationships make it work. As usual, Disney has gone all out on their latest Diamond Edition Blu-ray release, although it's strange that The Jungle Book was chosen as a worthy candidate for deluxe treatment while superior films like Fantasia and Alice in Wonderland were only given standard edition releases. Still, the presentation is impressive. I had never noticed before just what a beautiful film it is, and the Blu-ray upgrade certainly pops, even if the automatic "Jungle Karaoke" feature that pops up when you pause the film is a bit annoying. Disney has demonstrated their continuing commitment to their catalogue classics, and The Jungle Book has received an impressive sprucing up that will no doubt please fans and Disney enthusiasts. It may be one of their lesser classics, but there is a reason why it has endured for so long.